When the Samsung Galaxy S9 was presented at the Mobile World Congress 2018, a lot of people called it the evolution of last year’s flagship. 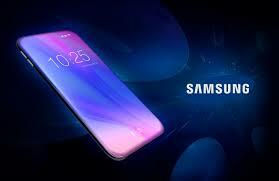 However, that’s not entirely true as with Galaxy 9, Samsung has introduced a lot of innovations, particularly in the media sector. Samsung has looked after and perfected every aspect as best it could to justify the price of the phone. When assessing a phone of this caliber, it is pertinent to weigh in on all the weaknesses and the strengths. 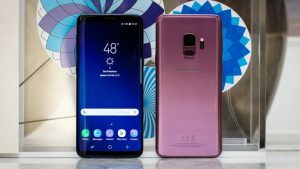 Read on the Samsung Galaxy S9 review to find out if its worth it! 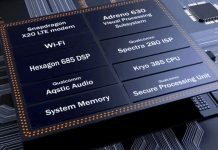 The hardware platform of the phone is centered around Samsung’s own SoC Exynos 9810 and four high-performance Exynos Mongoose 3 (M3) processors, with four low-consumption 1.7GHz Cortex A55. The production process has not been changed and remains at 10nm but the frequencies of the most powerful cores have been increases. Like always, the two Quad-Core alternate based on the type of task being performed. This lets the device achieve a good compromise between consumption and performance. 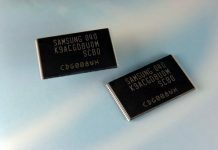 The RAM on Samsung Galaxy S9 is 4 GB of LPDDR4 type. This is not in line with the market trend, with most devices having a RAM of 6GB. The GPU on Samsung Galaxy S9 is Mali G72 MP18, and the internal memory is 64 GB of type UFS 2.1. It is expandable with MicroSD up to 400 GB. The phone is reliable and fast in any context. 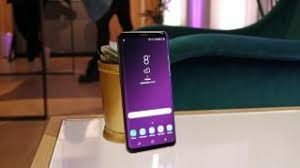 Samsung Galaxy S9 offers great reactivity in productive or social use. You will not experience any problems while playing games. The multimedia sector is at the highest levels and that makes the gaming experience even more pleasurable. However, it still doesn’t match the responsiveness of handsets with a stock software. However, this isn’t that much of an issue and doesn’t create any issues but it is hard not to point out this difference when talking about a top of the range smartphone. So, Samsung Galaxy S9 isn’t the most responsive or the fastest smartphone on the market right now, but it is one of the best performance wise. 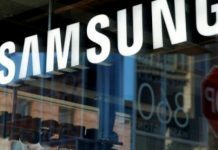 Samsung Galaxy S8 was heavily criticized for its unlocking mechanism. It had three unlocking methods and not even one was steady, entirely usable, or immediate. With Galaxy S9, Samsung has done something about the last year’s problems. It has listened to customers complaints and made amends. First of all, the fingerprint sensor has been located and placed under the camera, in a position that is more natural. The sensor is easy to find immediately and you do not confuse it with the camera. 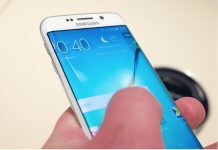 Last year, the fingerprint scanner was placed in a very awkward, difficult to reach position and a lot of users were unhappy about it. This year, Samsung has made a clear improvement. Now, let’s talk about the most important aspect of the Samsung Galaxy S9, it’s a new feature called the “intelligent scan”. This year the Korean giant has attempted to combine the face recognition in two dimensions and has included the option to unlock with the iris. This is how it goes: the device first performs a two dimension face scan, but if the result is not good because of a too low ambient brightness then it moves to the iris recognition. This way a user will be able to access the device directly even if they are in direct sunlight or difficult conditions. However, due to to the dynamics of the operations, the two dimension method is safer. The intelligent scan works fine, but the speed is not topnotch. Unlocking the phone is very easy and you do not necessarily center the smartphone to align it with the eyes. It is also possible to simultaneously use the face and iris unlock. Now, let’s talk about the design of Samsung Galaxy S9. Aesthetically, Galaxy S8 did not need any improvements as such. It had one of the best designs back when it was introduced. 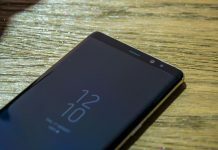 Last year, S8 stood out because of its infinity display, but Galaxy S9 could be one of the many. The aesthetics are still iconic, because of the double curvature of the screen and edges on the top and the bottom that is slightly pronounced. A lot of users may not like the fact that aesthetically the phone is not a lot different from the Galaxy S8. 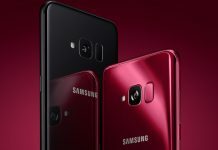 But, the two-year cycle choice makes sense and despite no major changes, the Samsung Galaxy S9 is one of the most stunning phones on the market right now. However, there are still some minor changes. The body of the phone is of a more resistant metal than the Galaxy S8 and the edge of the phone is in satin aluminum, not polished. The S8 was prone to scratches in those areas so this is a welcome change. Although it may not be clearly visible at first use, Samsung has done something for a better grip. There is a step between display and body. Although the risk of the phone slipping is still there the grip is now slightly firmer than the Galaxy S8.The size of S9 is not the same as the Galaxy S8, so you can not use its covers. It is 1 mm lower and 0.5 mm wider and thicker. The size difference is barely noticeable. The phone has an IP68 certification protection against water and dust. 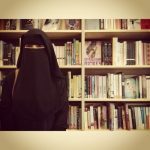 This is the best protection and is appreciated. The Samsung Galaxy S9 is available in the colors classic black, blue and purple. Th black one is nice but looks a little simple. However, color preferences largely depend on your individual taste. The front panel of the phone is a 5.8 inch Super AMOLED Quad HD +. Unlike the last year, there are no distortions compared. It is one of the best displays mounted on a smartphone right now for contrasts, color reproduction, and brightness. Compared to the Galaxy S8, the S9 has slightly warmer tones but the variations between different units are subtle. The screen could be calibrated and it is possible to select the resolution by selecting the one in FullHD +, without fearing a loss in terms of quality but a there is a gain in terms of autonomy. Another amazing thing about the Samsung display apart from the playback is that the colors are great. The brightness is very high and the screen is visible even under the sunlight. Now, let’s talk about the audio department of Samsung Galaxy S9. The new Samsung flagship has stereo sound because of a double speaker. The first is positioned on the bottom edge, and the second one is below the ear capsule. Thre is a division between low and high. The performance is excellent at the because of the Dolby Atmos technology. You get a sense of immersion while listening to audio. The volume is similar to that of the previous generation, which was already on large levels, but the quality and pleasantness of use have been clearly improved because of the total immersion. 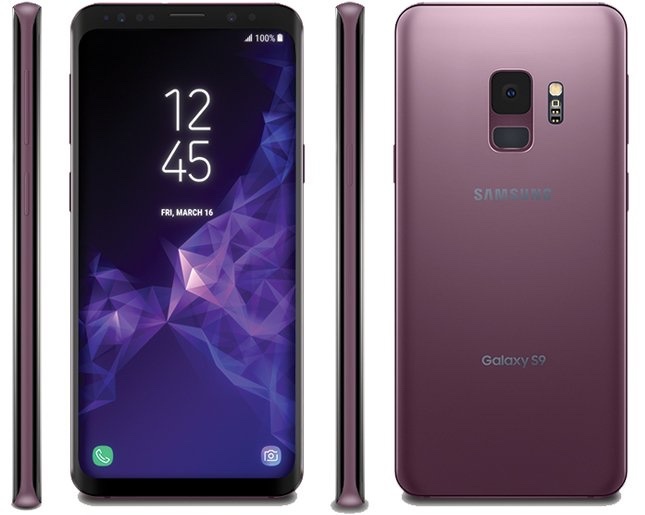 Samsung Galaxy S9 is one of the best phones in the market in terms of audio performance. The review of Samsung Galaxy S9 is incomplete without a discussion about the camera. With the S9, Samsung has started a small revolution in the smartphone camera field. The main innovation introduced in the double opening f / 1.5 and f / 2.4, which can be managed automatically by the software. The camera on the Galaxy S9 is single 12 MP. Unfortunately, it does not get a dual camera like on the Samsung Galaxy S9 Plus. But, you can use the camera in two different positions: although the intermediate openings are not available, it is possible to select between the 2 basic ones in the pro mode with recalibration of the other parameters to get a similar exposure. Everything else is managed automatically. An aperture f / 1.5 lets you achieve a better focus and capture more light without needing to increase ISO parameters and shutter speeds a lot. Automatically, this aperture is used when the light starts decreasing. With f / 2.4 the captured light is lower, and the bokeh too, but the definition is increased of the individual details or in the contours of a macro. The versatility of the camera has increased, largely because the parameter difference with Galaxy S8 is not so important. In the evening both the phones capture very good pictures and with Galaxy S9 in certain situations, you can keep shutter speed and ISO lower. As a result, you get less noisy pictures and fewer moves. The difference is visible only if you observe too closely, and analyze the shots on a computer. However, keep in mind that this phone has the best camera on the market right now. The bar has been raised in terms of quality and versatility, and the phone benefits greatly from an excellent base of the previous generation. As the technology is kind of like that we see on a DSLR, there could be interesting scenarios in the future. For instance, Samsung might try for more opening or introduce a versatile alternative in terms of bokeh and definition. This is truly like a small revolution. However, the advantages are not so clear at the moment and an upgrade is required. The front camera of Samsung Galaxy S9 is 8 megapixels with aperture f / 1.7 and has a good wide angle. It manages to take great pictures, with a minimum of bokeh because of the autofocus.However, even when the beauty effect is deactivated, faces look a little flat. It is no doubt better than the other phones from China, but it is true that the reproduction of images isn’t that good, especially in the evening. The front flash is excellent and the results are good even in the absence of light. Another good step in the right direction is the video size. The videos can be pushed up to 4K and 60fps, but the stabilization remains just optical in this case, while the digital one is deactivated. That is why it is usually better to record in 4K and 30fps or 1080p and 60fps. The quality of the video is top notch as and so is the sound from the microphone. The results are better than those of other top-of-the-range smartphones. Another interesting novelty is the slow motion at 960 fps. The operation is kind of like that seen earlier on the Sony Xperia XZ1 but is a little better because of a software function. The phone records a portion o the video with 960 frames per second. This is done in a period of time which will not be editable in post-production. The difference with Sony Xperia XZ1 is in a function which detects movement automatically within a square and then records different time intervals in slow motion in a way that’s completely automatic. As they say, even the moon has its flaws. If there is one weakness in Samsung Galaxy S9, it’s the battery. The capacity of the battery is 3000mAh. There was either an upgrade here nor any improvements on the consumption or software side. Like the Samsung Galaxy S8, Samsung Galaxy S9 will only last you until the evening, with nearly 3.5 hours of screen time. Of course, this value may vary because of the massive standby power consumption of the phone. This means even if you were not using the phone throughout the day, you may find a little battery left by the evening. However, that doesn’t mean the battery is not sufficient but maybe Samsung should have considered an upgrade. 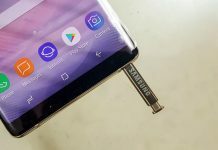 Another strength of Samsung Galaxy S9 is its software. The phone runs on the new Samsung Experience 9.0 based on Android 8.0 Oreo. 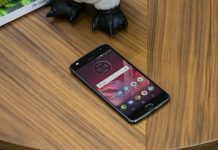 Much has been said about Oreo already, let’s talk about the other software. Samsung software does not change a lot. 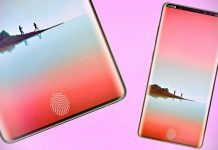 There are heavy customizations and a lot of really interesting features like the panels for the curved screen, the game launcher, or Bixby which doesn’t work everywhere yet. There is also a useful aggregation center for reminders, news of the day, social, etc. The ‘ Always On Display’ allows you to take a quick look at the date, clock, and notifications without unlocking the phone. The home button is visible and usable always as that area of the display is sensitive to touch. You can press it harder no matter whichever app you are on to return to the home, without needing the navigation bar. 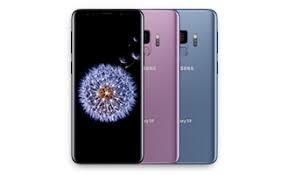 The Samsung Galaxy S9 will be officially available from March 16, 2018, and the price is 899 euros. Undoubtedly, the price is high, especially when compared to that of its predecessor. However, it is going to go down in the coming months. We advise you to wait a bit for the devaluation of the phone. 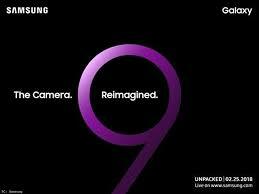 Introducing a revolutionary camera is the biggest feat of Samsung Galaxy S9. The screen, the design, the audio, and the software are also near perfection. The only thing that lets down is the battery. Having standby consumption problems is kind of not expected in 2018. Let’s hope, that the Samsung will fix this problem with the next generation and give us a truly perfect smartphone. Another thing that Samsung still needs to work on is Bixby. Overall, this phone is almost perfect. The ergonomics, hardware, and material all are great. The quality to price ratio is not so great at the moment but it will improve in the coming months hopefully. 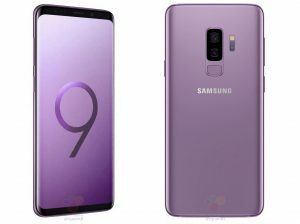 What do you think about the Samsung Galaxy S9? Will you consider buying it? Share your thoughts with us in the comments down below!